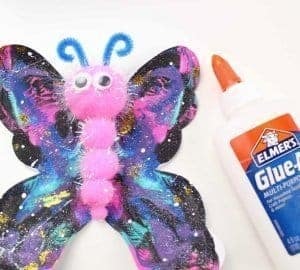 Today we have a Halloween Vampire Craft the kids will love. 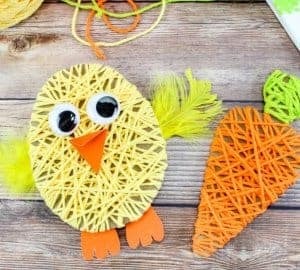 I am a huge fan of Halloween and it’s a great time to get crafting with the little ones. 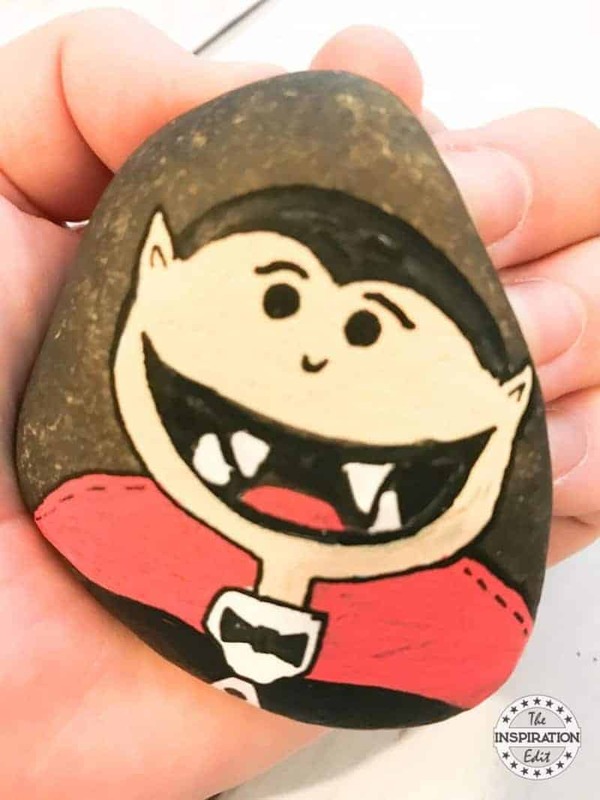 I’ve been making a few Halloween themed painted rocks recently and today I am sharing this super easy Vampire Halloween rock stone. 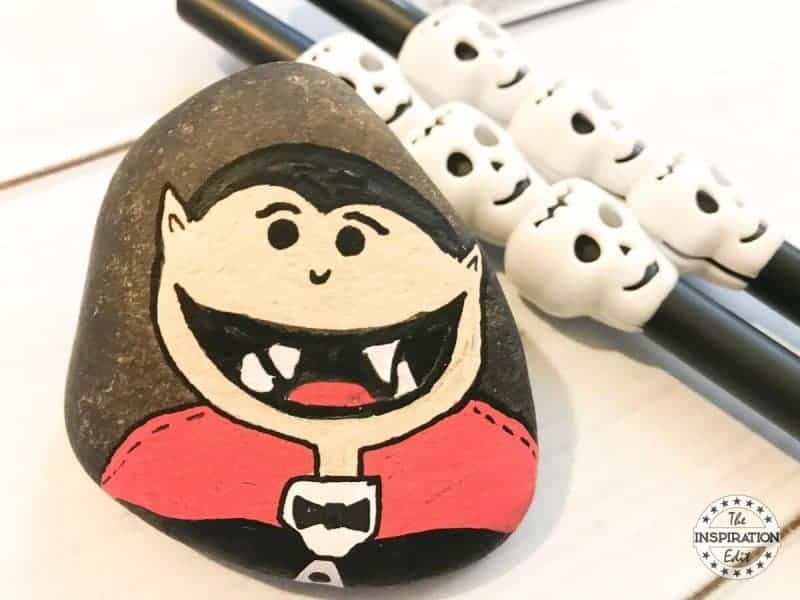 This Vampire craft is easy to paint and simple and will make a great decoration or fun activity for the little ones to enjoy. 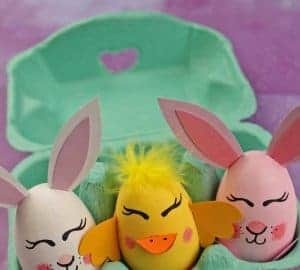 You could paint this at home or at preschool or Kindergarten. 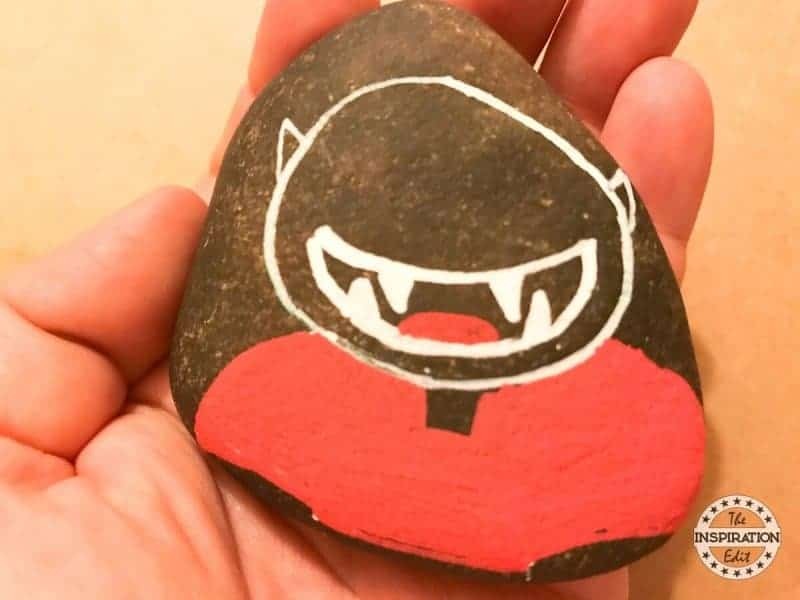 There are so many different Halloween painted rock ideas you might want to try. My daughter and I have been making a few different rock stones and here are a few examples or ideas which you might choose to make with little ones or on your own. 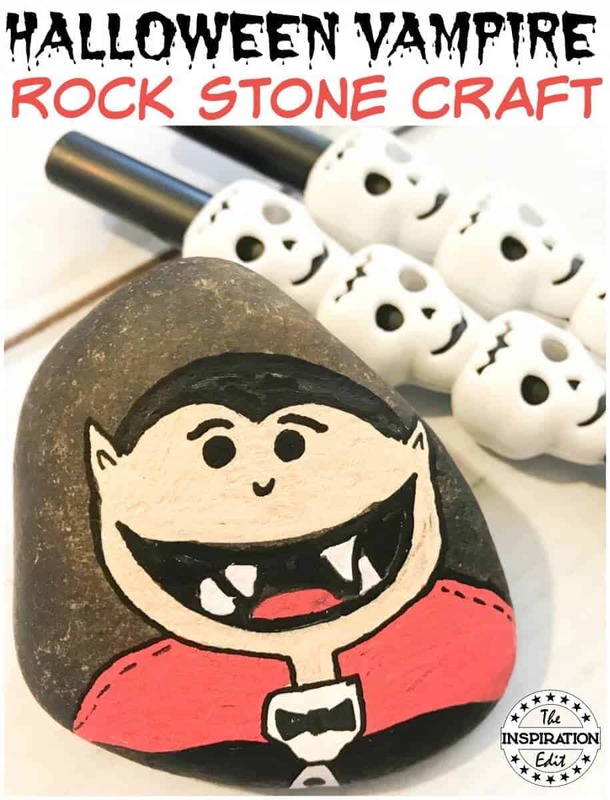 The ideas are endless, there are so many different Halloween characters you could even make a whole set of Halloween Story Stones. What Supplies Do I Need To Create This Vampire Craft? 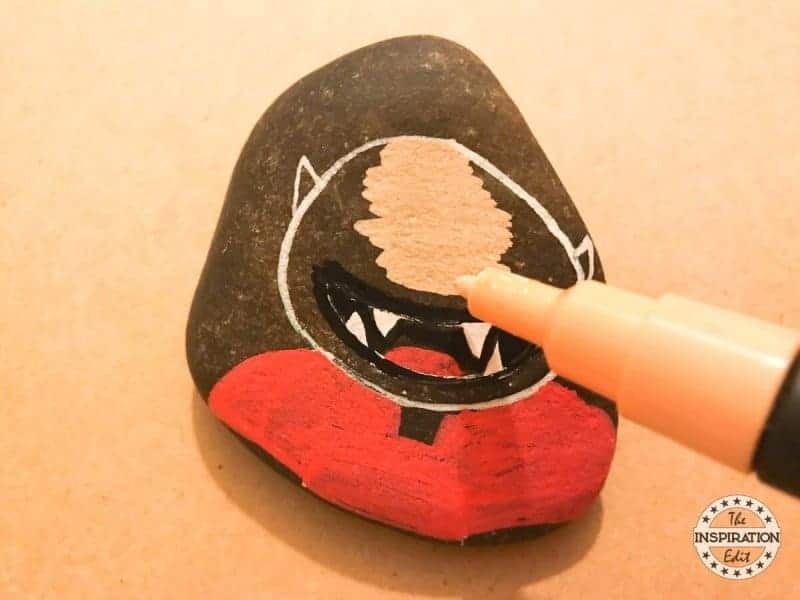 You will need to find a stone to paint. 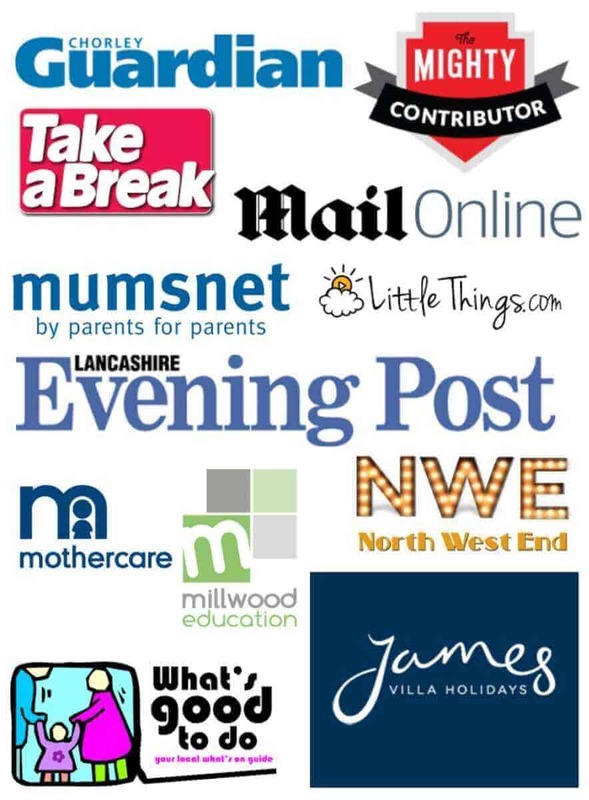 This can be a stone in the garden or you could purchase stones from a garden centre or Amazon. I love that you can buy smooth stones from Amazon. For my stone I used one a friend had given me from her garden. 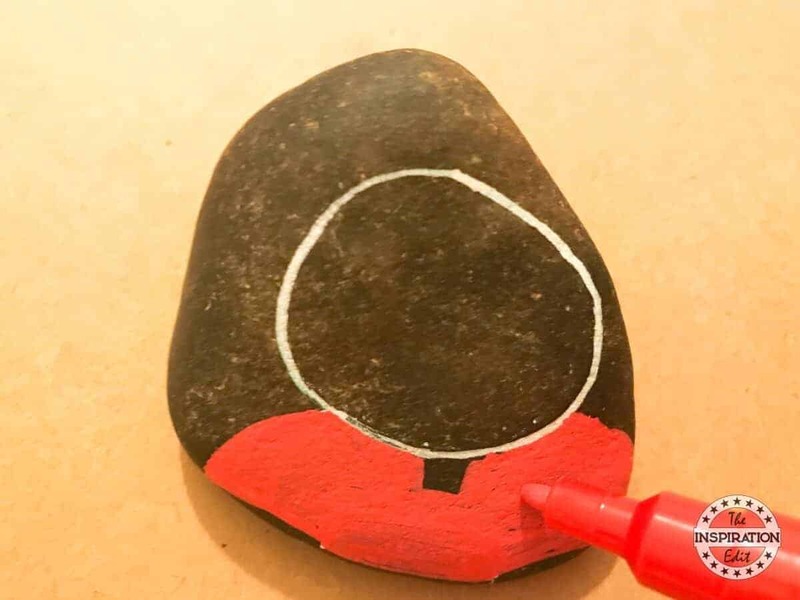 To paint the stone you can use acrylic paint and a paintbrush or you opt to use Posca marker paint pens. I prefer posca pens as they are much easier for me and my daughter likes them too. 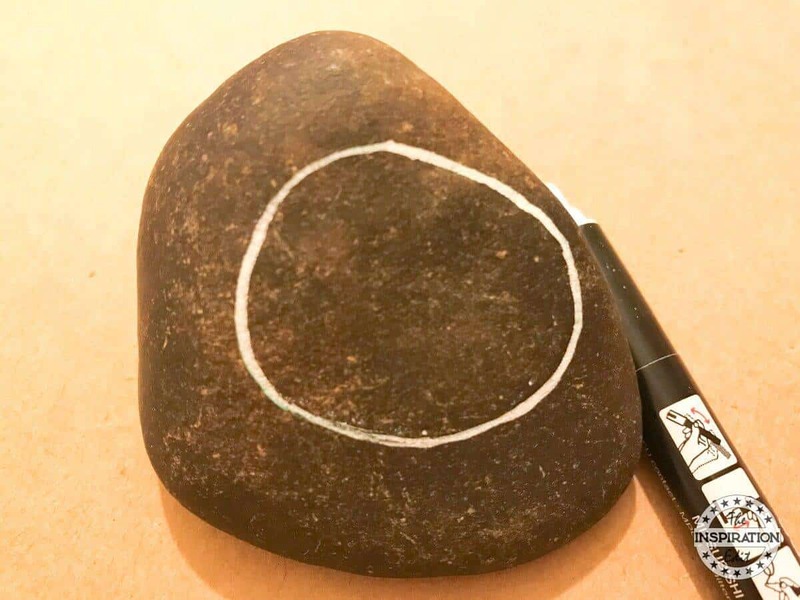 First you will need to rinse your rock stone in warm water. Leave your stone on a towel and allow to dry completely. Use a pencil to sketch the design in your sketch pad. 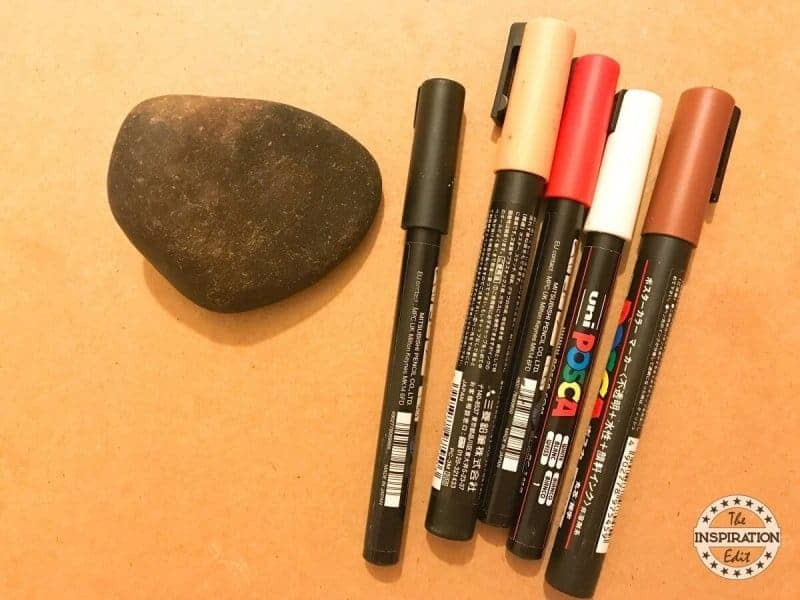 Next draw your design onto your stone using the white posca pen. Use the red paint pens to colour in and create the bat collar. Draw a mouth with fangs and add a tongue. Now colour the face using a flesh toned posca pen. You may want to use a purple pen. 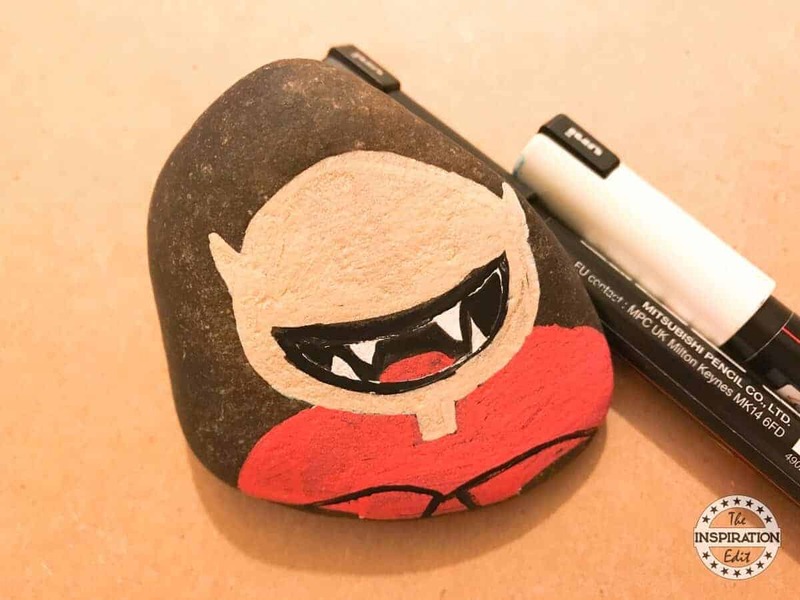 Finally add detail to your Vampire using a black paint pen. 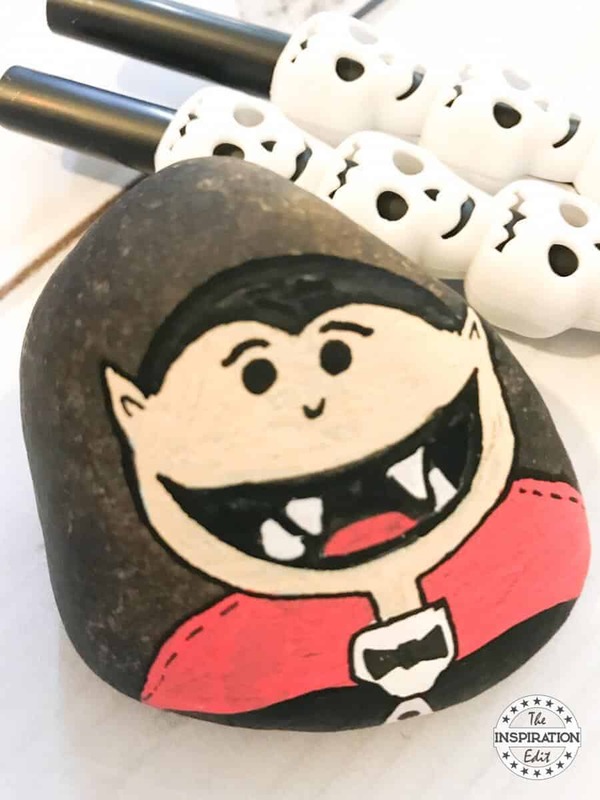 Add white detail to your vampire and allow the paint to dry completely. Your Vampire craft is now complete. 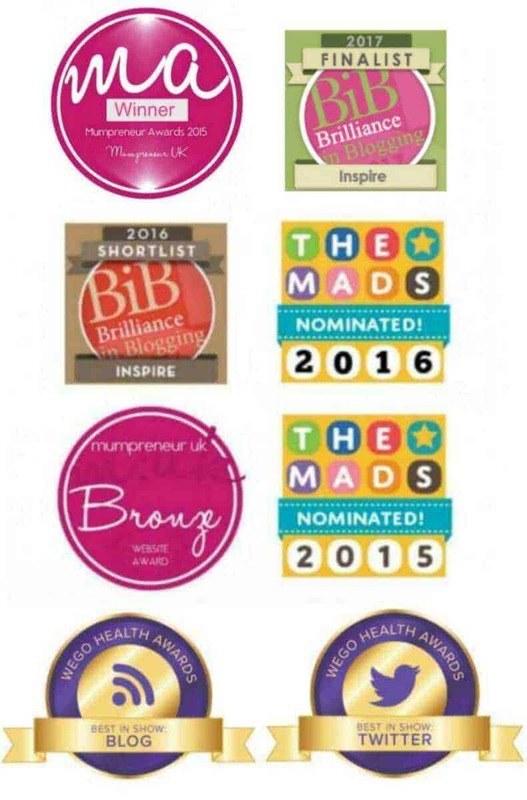 If you’d like to protect your stones designs , use a spray sealer or Modge Podge.